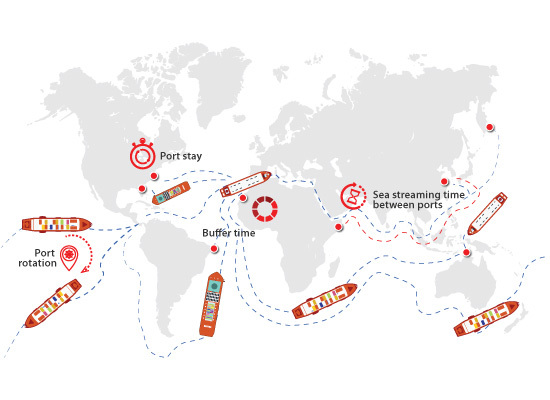 Ensuring all the vessel schedules are up-to-date and obtaining information of market changes, operation and weather conditions are challenging in liner business. Planners are messed-up with schedules live adjustments, as they didn’t receive the updated schedules. SVM Vessel Scheduling System is an integrated system caters for coastal voyages with coastal schedules. Receiving the right schedule information at the right time is vital for liners and SVM VSS is designed to address this. Vessel schedules are updated on the fly and changes are auto-notified to the involved parties ensuring the right information gets into the right hands.